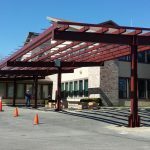 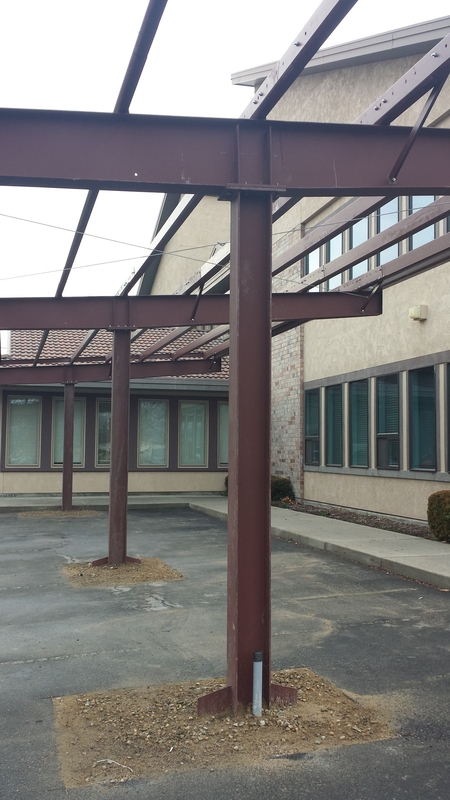 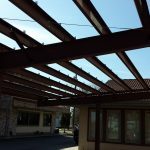 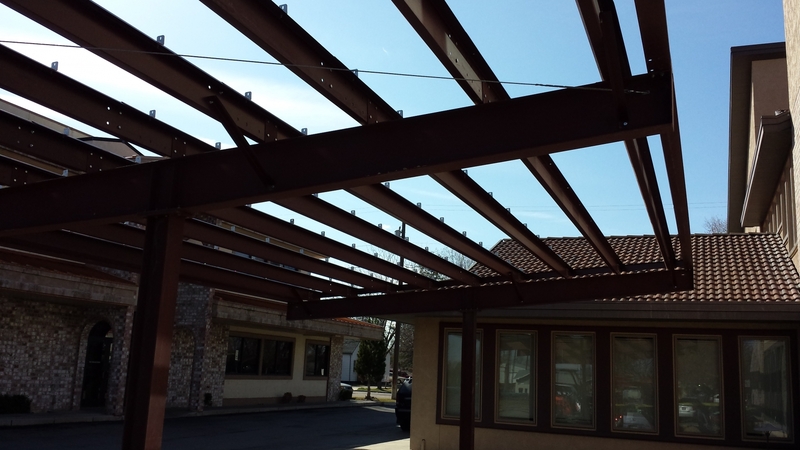 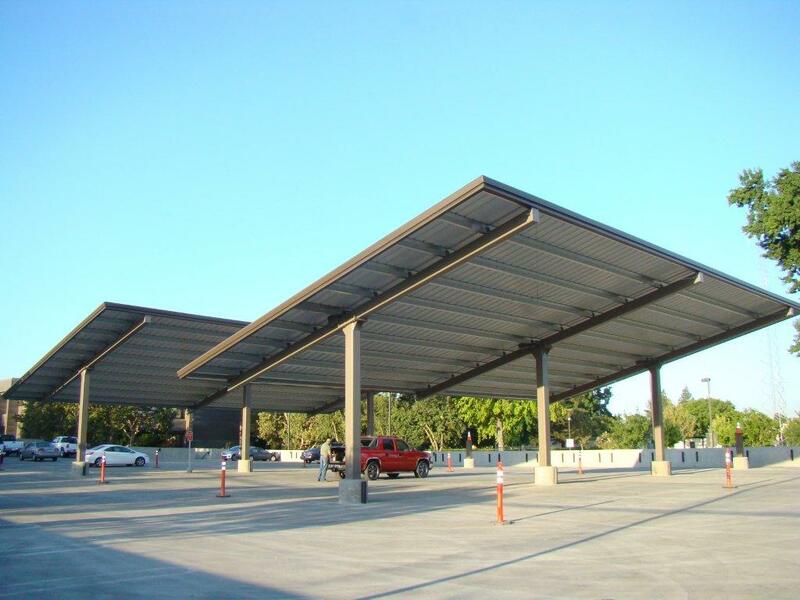 Pascal Steel Carports are unique designs engineered to your liking, we carry various different designs based off you interpretation of what a carport should look like. 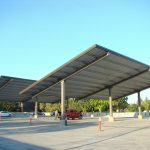 Whether you want a no thrills carport design or an aesthetically pleasing carport design we can supply and install this type of system. 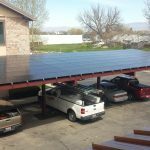 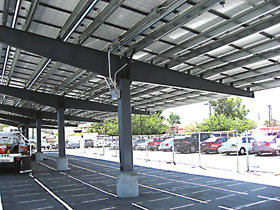 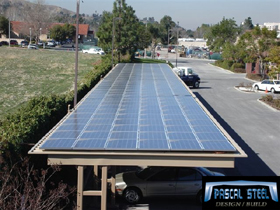 Over the years Pascal Steel Carports have been designed to encompass solar panels by eliminating the roof panels which makes the structure eligible for tax benefits. 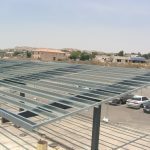 Pascal Steel is dedicated to renewable energy solutions for the low-rise construction industry and has developed cost effective solar solution structures out of pre-engineered metal building components. 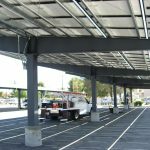 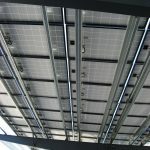 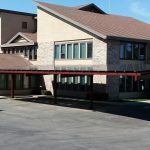 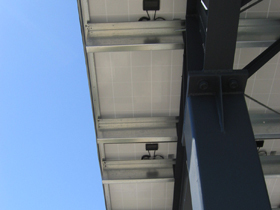 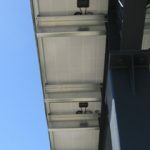 Whether you’re interested in racking systems, building integrated photo-voltaic systems (BIPV) on our standing seam metal roofs, or carports – we have the ability to engineer, supply and install any of your various solar structure needs. 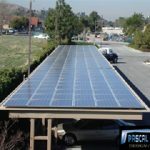 Over the past year Pascal Steel has moved steadily forward strengthening our commitment to the environment by offering solar panel integration with our metal building systems. 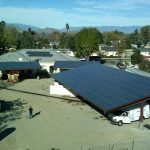 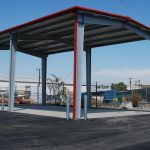 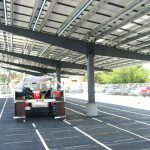 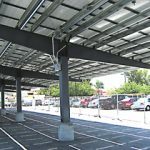 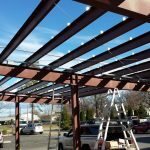 To date, we have successfully completed several solar PV system carport structures and are now in the beginning stages of larger-scale solar projects. 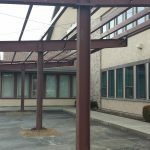 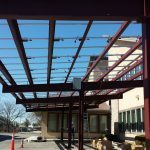 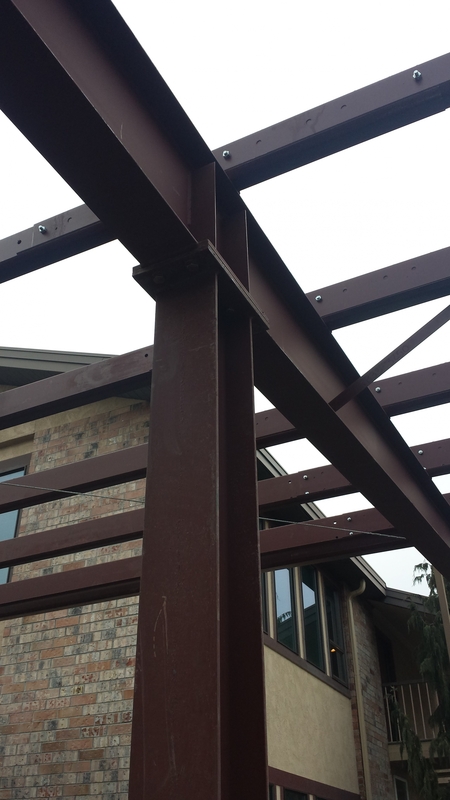 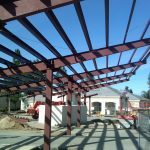 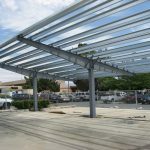 If you are considering environmentally conscience alternatives for your pre-engineered metal building let us help. 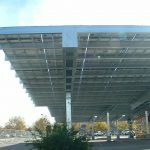 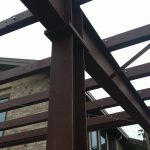 We can design, supply and erect a complete structure tailored to your individual needs which will produce maximum results from solar energy, saving you money, increasing your profits and providing you peace-of-mind. 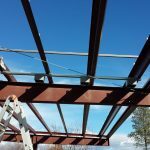 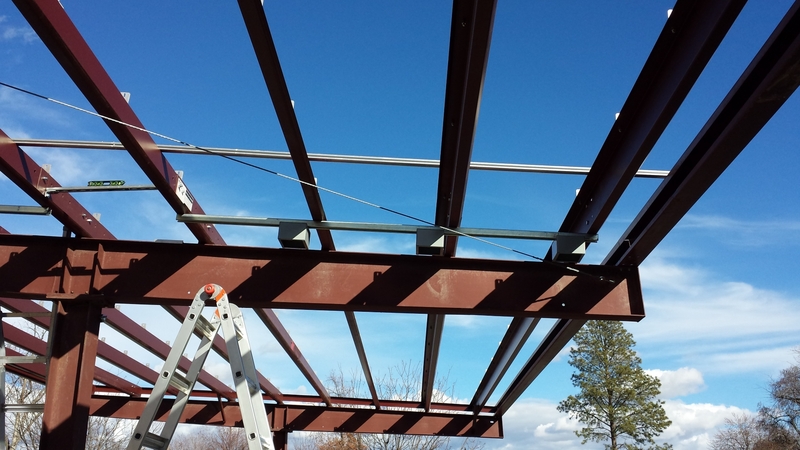 Our focus and dedication to the design and erection of pre-engineered metal buildings that will support photo-voltaic systems ultimately represents the responsibility of Pascal Steel relative to the needs of our clients, the needs of our environment and to our overall conservation ethic. 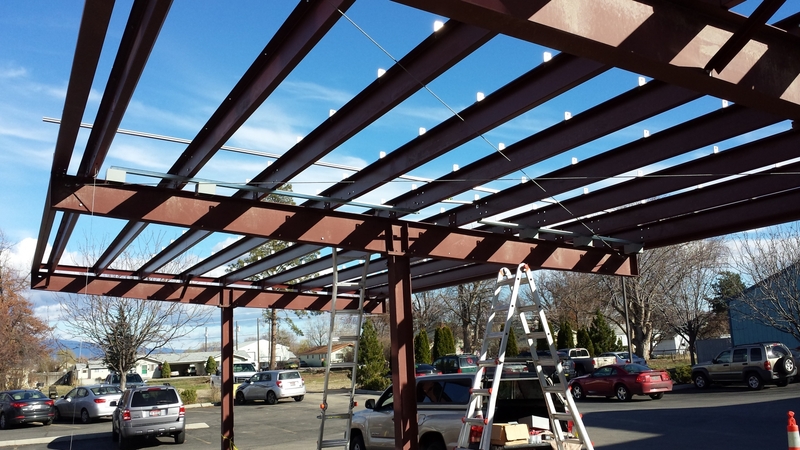 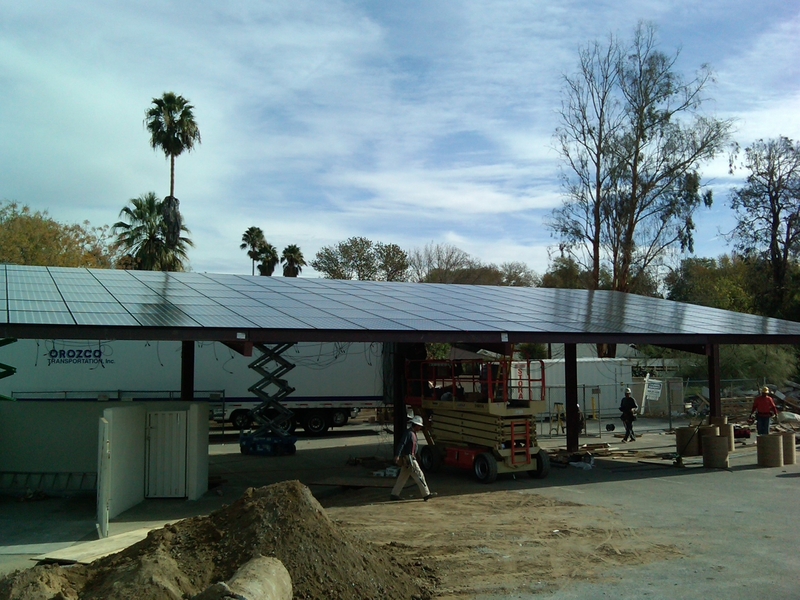 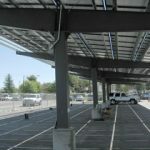 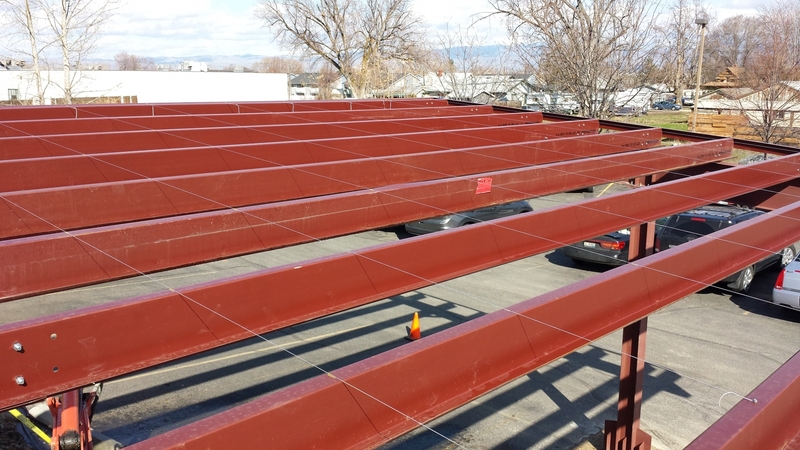 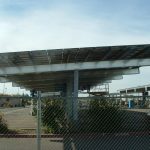 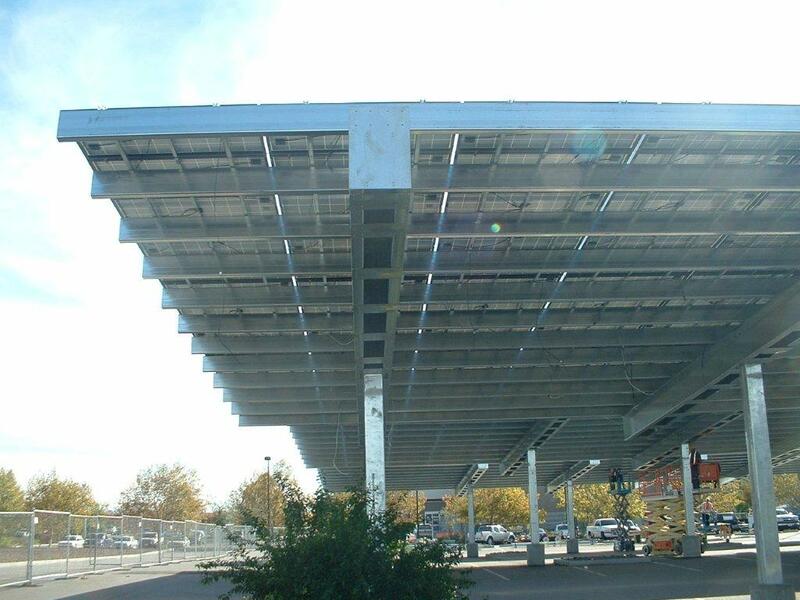 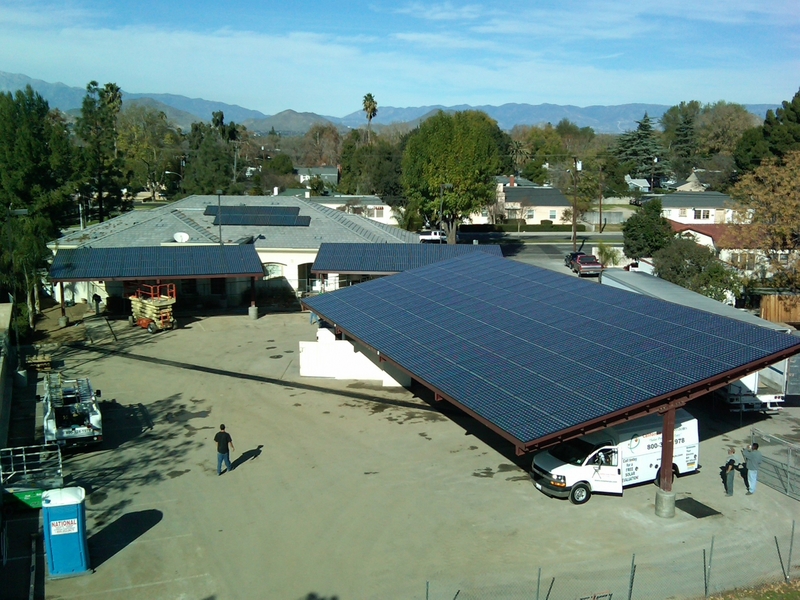 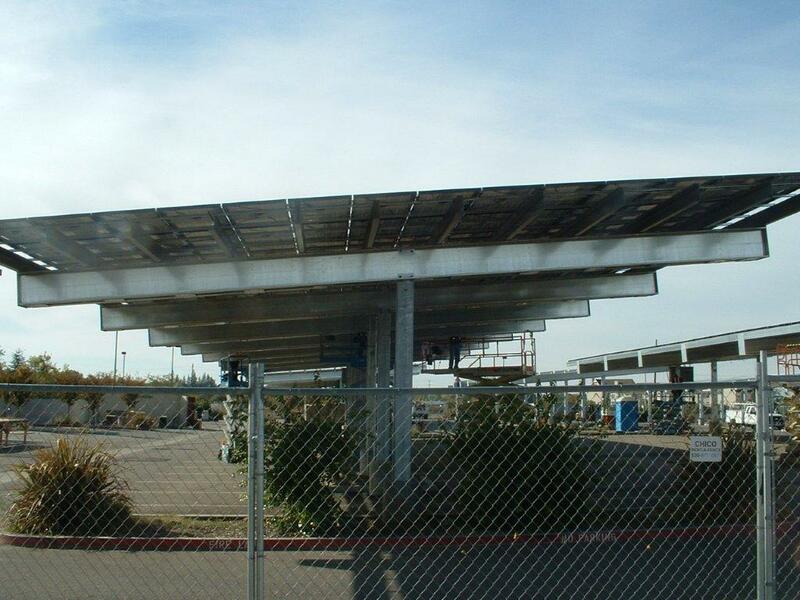 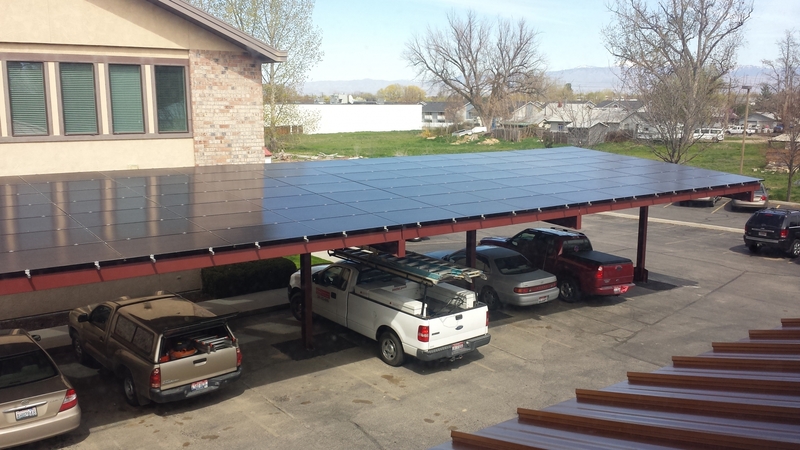 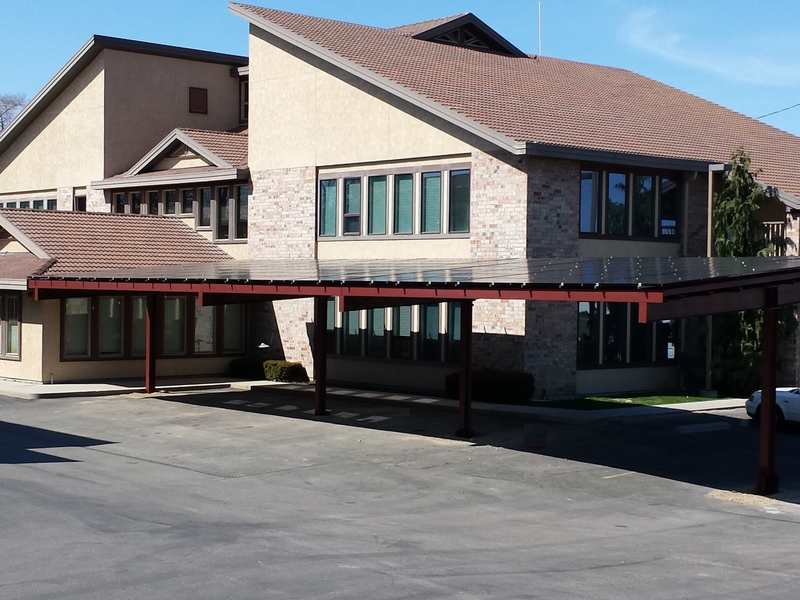 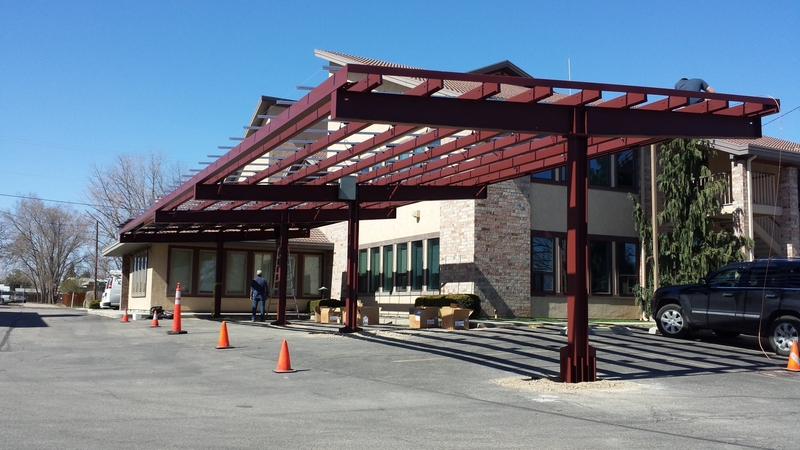 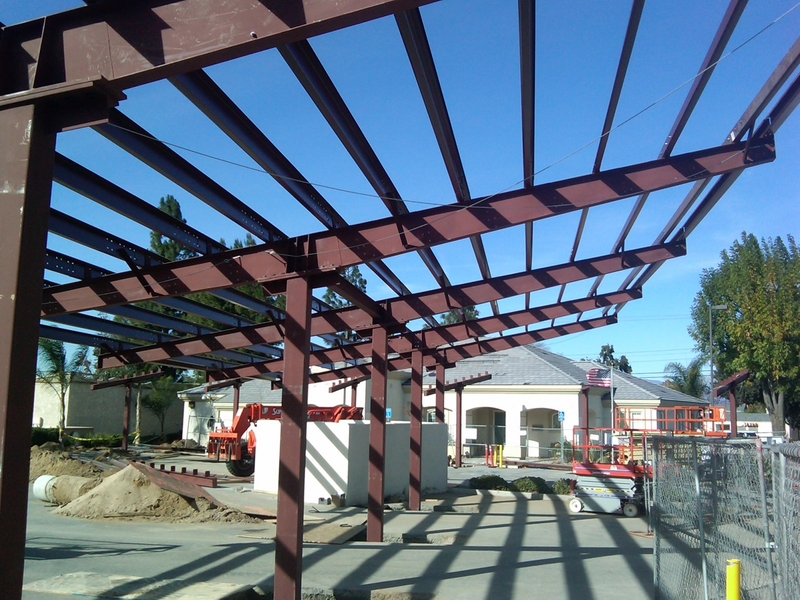 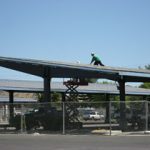 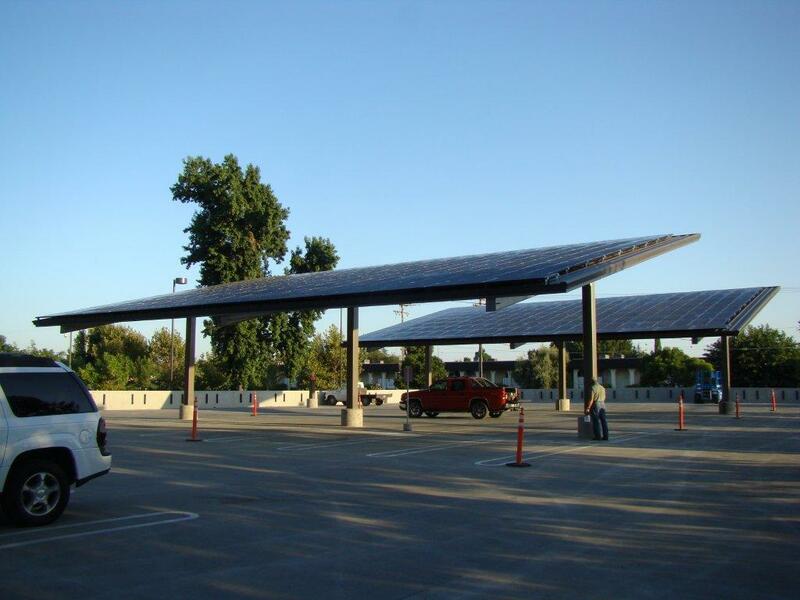 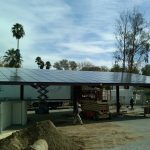 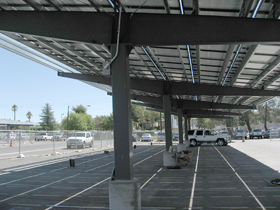 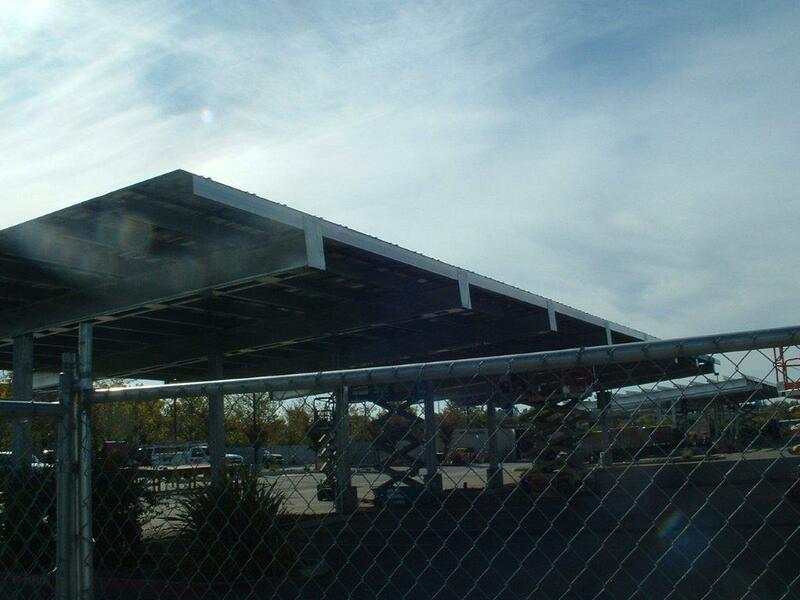 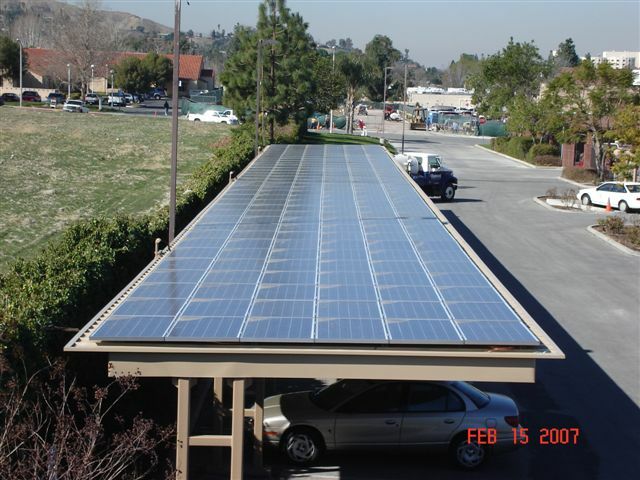 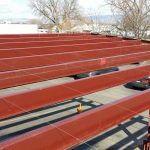 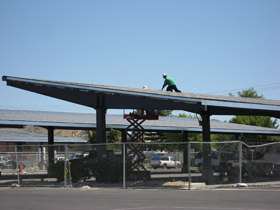 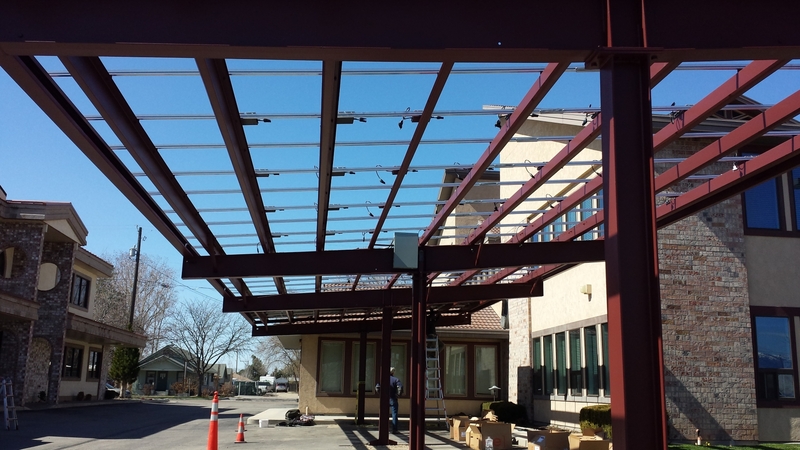 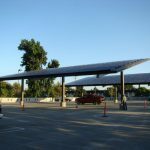 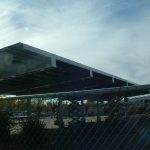 These photos are from a recent solar carport project at St. Marys Hospital in Apple Valley, CA.